A lemmon gilt vessel, hand raised in Brittania silver, planished and placed on to a hand carved timber of wych elm. 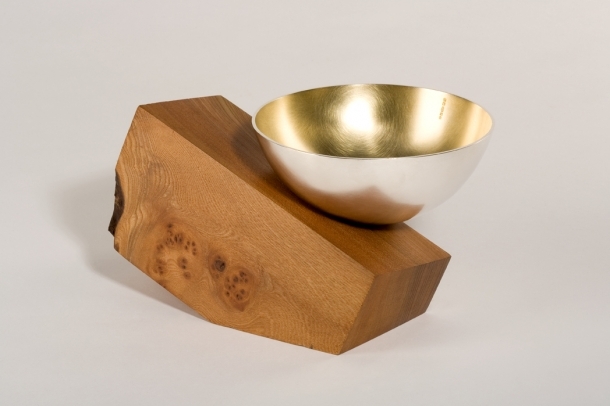 This rare wood was collected during a beautiful walk over the Peeblesshire hills, Scotland. A small bowl, hand raised from Britannia silver and planished smooth. 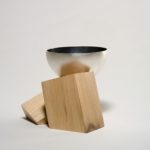 The vessel is supported on two hand carved blocks of hornbeam and the interior has been oxidised black. Now housed in a private collection. 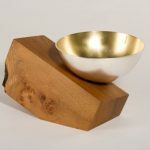 A pair of bowls supported on hand carved timbers of hornbeam. 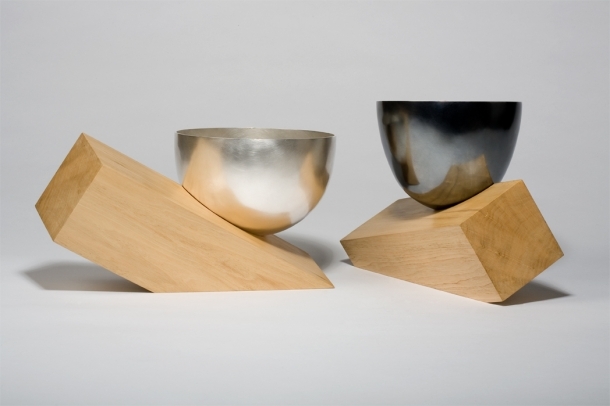 The form of vessels are based on Georgian fingerbowls, each bowl is hand raised then planished smooth. 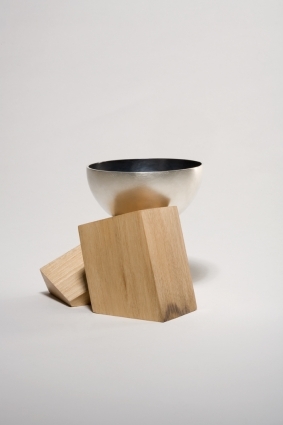 Both vessels are worked from sterling silver, the exterior of the taller bowl has been oxidised black. I have been a silversmith for over 17 years now. Based on the beautiful south coast of England, I have exhibited nationally here in the UK as well as in the United States and Europe. I have worked to commission and many of my pieces are in private collections. All the work shown here is handcrafted by myself using traditional silversmithing techniques and engineering. 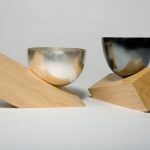 The tactile nature of these objects are born out of these honed skills and my understanding of materials, how they are best used and complement each other. How to contact Grant Braithwaite.